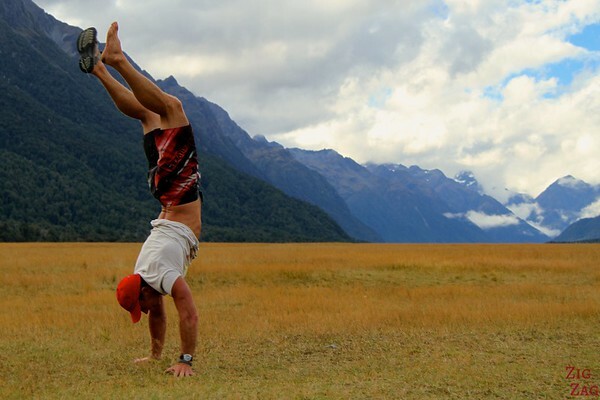 Below is a detailed and independent review of Flying Kiwi with whom I completed a 2 week New Zealand Traver Tour: itinerary, bus, camps, guides etc. Please leave a comment if you have any question! 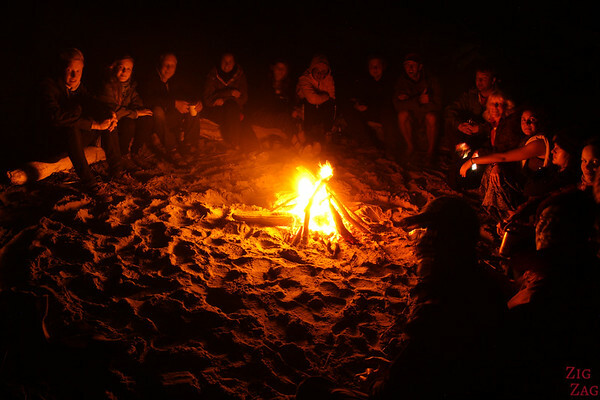 This review covers my general impression, my opinion on the itinerary, the transportation, the tents as well as my comments on the activities, the food and the organization. And don’t miss out at the end on some special advice for this tour! Although I prefer smaller groups for my tour, the ambiance was amazing and I had a great time. 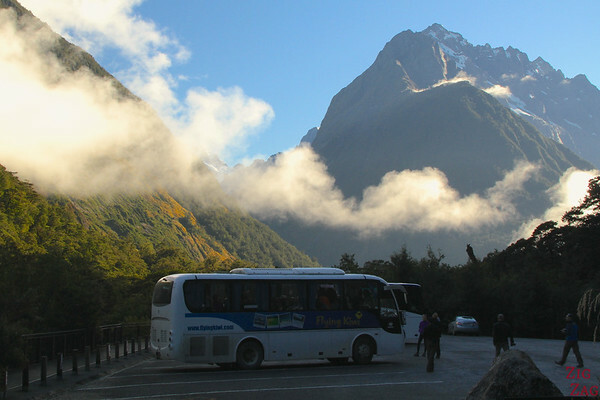 Not enough explanations about New Zealand’s history, geology and wildlife. (Note that as of April 2014, I have been informed by their team that this will be a focus of improvement for next season). The itinerary is generally well designed. We are covering a lot in 2 weeks! The only change I would do would be the travel to Dunedin. I really enjoyed the Moeraki boulder as I am fascinated by geological formations but that was a big detour for just that. I would have preferred to stay in the mountains. And to my taste when you do not do some activities you spend a bit too much time in the cities. But it needs to accommodate everyone so I understand. 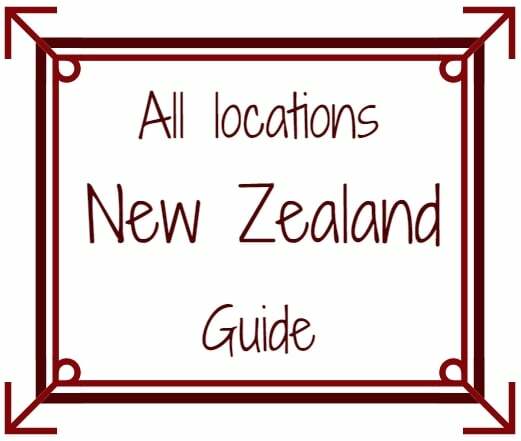 You can see whole the locations I visited with photos on my online New Zealand Guide. 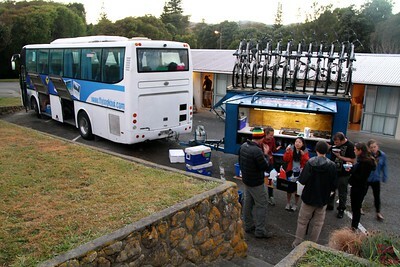 Both buses in North and South Islands were OK although a little bit tired. There are 4 sits that face backwards and if the group reaches its full capacity those seats are needed. Some people were OK to use them on our tour so it did not create a problem on our tour but it might on other. Tents, mattresses and sleeping bags were in good condition. Easy to build. 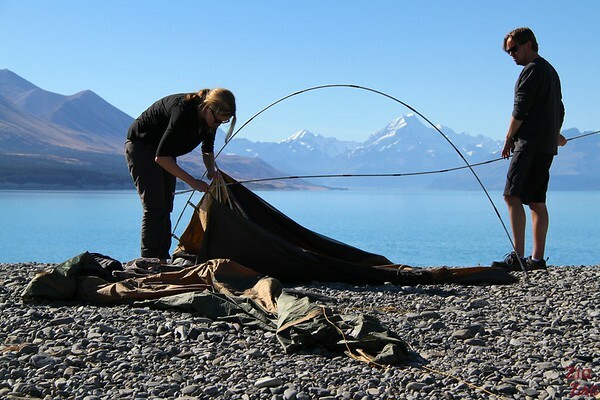 Some of the camps were really amazing, especially the one near Mount Cook. I wish we had done more of the wilder camps. However I did appreciate the upgrade option to get a bed in some of the city camps. Lunch was mostly us picking something up at the grocery store or in cafes. 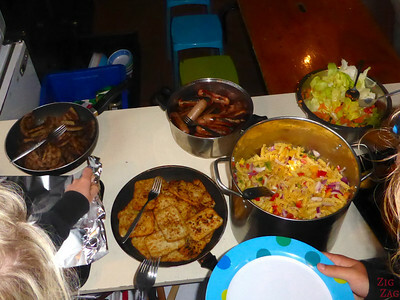 In the evening we had plenty of food with veggies and meat. Amy magic couscous was a big hit even though it was scary when it was made! The guides I had (Amy and Steely) were very well organized. We had a trailer for cooking. 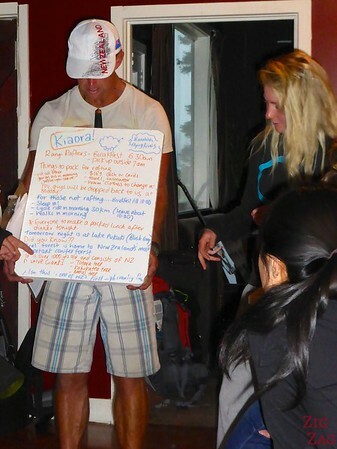 Planning of activities was easy and very flexible. There are a lot of options everywhere we stop. However those are obviously not all the activities available but rather the ones they have an agreement for. Most of the time it was more than sufficient. In some case I was a bit disappointed. Fo example in Rotorua, most were of no interest to me and a lot of people in the group so we had 4 hours to waste in the city. I ended up booking a floatplane tour by myself once at the lake and it was amazing but it was by pure hazard. I must say though, that when we were looking for something else to do, our guide was tying to help us as much as possible. 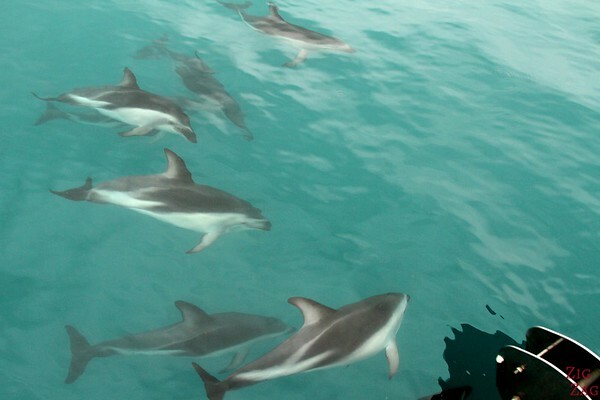 Wild dolphin swim in Kaikoura – I recommend it! Helicopter flight in Queenstown with Snow landing– great views! 4 WD tour around Queenstown – loved it! When not doing some of the activities there were cycling and walking options. Some were nice like the Huka Falls walk and some not so good such as the walk to the small church while the others went white water rafting. I did not take it because I hate cycling but other did and always had a choice to go or not. 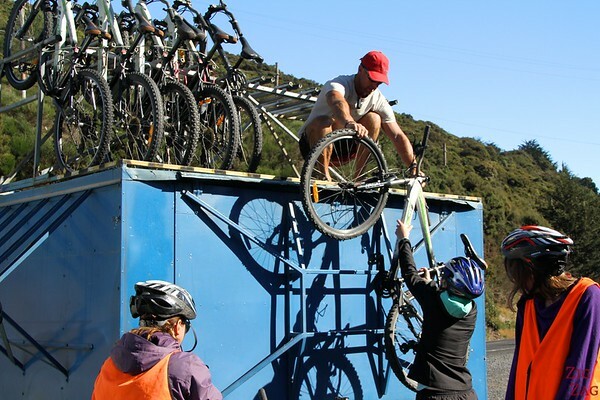 I think they really enjoyed some of the tracks in North island but were less convinced by the cycling in South Island until Queenstown. Do not forget Mosquitoe repellent. Those sand flies are killers. You can purchase wifi access card at pretty much all camps but if you do not want to pay find the library at each city stops. They all had free fast wifi. When they say to bring warm clothes this is not a joke. It gets really cold at night. And take a hat and gloves as the weather is unpredictable during your hike! And to finish, purchase a pillow if you cannot sleep without one, as it is not provided! I hope this is useful.